Summary: Here are some new helmet designs we are aware of. Some of them are promising, but some will never get to market. You may find some we have not seen yet as Kickstarter or Indiegogo projects. The helmet below was once in the Abus line, the only helmet on the market with a cardboard layer in the liner. This helmet had a unique liner that combines one layer of conventional EPS expanded polystyrene and one layer of cardboard honeycomb. We have a page up on the Kranium technology with more photos of this helmet. Retail in the UK was £80. The cardboard layer of the liner can be made from recycled materials and would be considered sustainable, but the EPS layer is no more recyclable than other EPS helmets. Abus says the helmet was very difficult to assemble. We hope to see Kranium bring a cardboad design to market. Airium is a new brand planning to enter the US market in 2017. This Canadian company already has a hockey helmet made with a unique air-filled bladder as the liner. 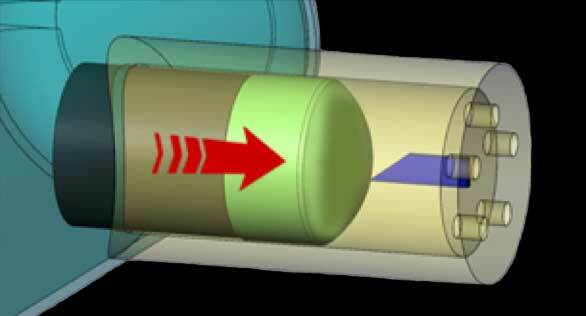 There is a special valve that lets a small amount of air expand a membrane into a cylindrical chamber when an impact starts. When the impact exceeds 30g the membrane contacts a sharp dart at the end of the chamber and the liner deflates through holes at the end at a controlled rate. The helmet becomes loose, signaling the wearer to replace the liner. Airium says the helmet will reduce both linear and rotational acceleration forces better than standard liners. We don't know when a bicycle version will be marketed. 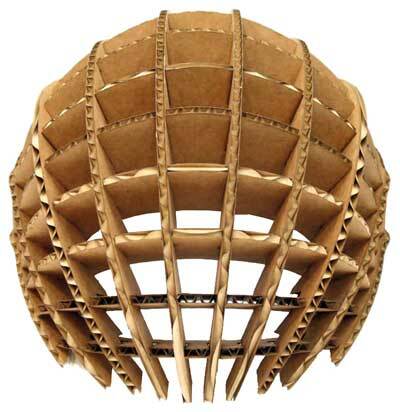 Spitfire Industry is developing a new helmet known as the Eco made of recyclable paper in a radial honeycomb pattern. The Eco will fold flat and be very inexpensive to produce. They are intended to be readily available for shared bike system users. A media reports says it is not yet certified to CPSC as of August 2016, and the testing shown on the company's video does not even approximate the CPSC lab test protocol. EcoHelmet plans to launch early in 2017. Headkayse is a UK startup developing a new helmet said to be capable of multi-impact protection. It will be flexible and foldable. There is a Daily Mail article with videos explaining, and an Indiegogo site. Slated for introduction in 2017, Australia's Cyclevision helmet has integrated HD front and rear facing cameras. It is a conventional road design with unfortunate upswept points in the rear. The Hövding airbag is not really a new design, since it has been on the European market for years. But using an airbag instead of a helmet is a new concept. We have a page up on it with details. We are glad to hear from inventors with new ideas for improving bicycle helmets. But we do not have the engineering, patent or management skills to make a meaningful contribution to move a product along to the consumer. We have a page up explaining that.